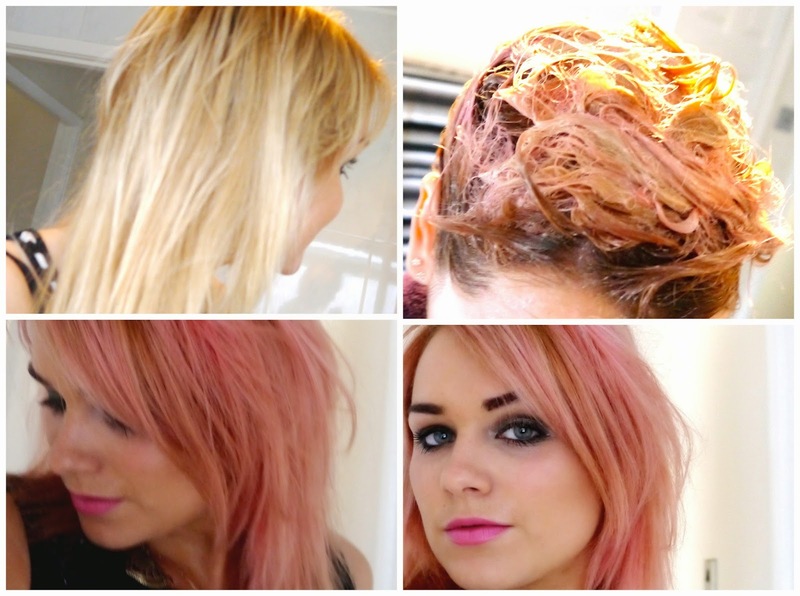 Before & After L'oreal Feria 'Pink Panther' review // Pink hair, don't care! After finally achieving my perfect shade of blonde, what did I go and do? Dye it pink of course! I really don't know what the matter is with me but I can't seem to stick to hair colour for very long. I have been wanting to dabble with pastel hair for quite some time now and when I saw the 'Pastel, pink flamingo dye' by L'oreal Feria on offer I decided to give it a whirl. This is a semi-permanent colour which is supposed to last for between 3 and 5 washes, I'm not sure how it will fade out but I love the washed out look. I applied a generous amount of the pink toning conditioner to damp hair as advised. Upon drying I found that the vibrancy of my hair wasn't quite pink enough so I applied a second layer to dry hair. The conditioner leaves your hair extremely soft and nourished whilst depositing a light wash of colour. My hair is a mixture of dark blonde and light blonde so some areas took more colour than others. The shade on the box is also not realistic to the colour I achieved but perhaps on super bleached, white hair, it would be. The toning conditioner is reusable and contains no bleach or ammonia so even people like me with damaged hair can still enjoy fun hair colours. I really recommend giving this a go if you are feeling adventurous with colour.